Durham: Patricia Taylor Couch, 99, died Wednesday, January 16, 2019, at Croasdaile Pavilion. She was born in Wilson, NC, but lived most of her life in Durham. She was the daughter of the late George H. and Lillie Lucas Taylor. In 1943 she was married to the late James Robert "Bob" Couch. They were married for 33 years. Mrs. Couch was employed in the Radiology Department of Watts Hospital and Durham County General (now Duke Regional) for 34 years, retiring in 1984. She was a member of Bethesda Baptist Church and a member of the Juanita Stallings Sunday School Class. She was also a member of the Primetime Bible Study Class. 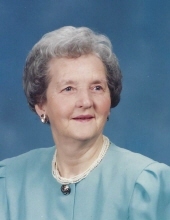 Mrs. Couch is survived by her daughters, Patsy C. Davis (Doug), Cathy McGhee (Randy); sons, James R. "Bobby" Couch, Jr. (Ginger), George H. Couch (Teresa) and Samuel I. Couch (Toni); 7 grandchildren; 12 great grandchildren; and 1 great-great grandchild; and brother, Willie O. Taylor. She was predeceased by her granddaughter, Stacy Emory; 1 brother and 3 sisters. A funeral service will be held 11 am, Saturday, January 19, at Clements Funeral Chapel in Durham with Pastor Jeff Neese officiating. Burial will follow at Oak Grove Memorial Gardens. The family will receive friends prior to the service from 10 to 11 am. The family would like to thank all the staff for their kind and compassionate care given to their mother during her time at Croasdaile Pavilion. To send flowers or a remembrance gift to the family of Patricia Taylor Couch, please visit our Tribute Store. "Email Address" would like to share the life celebration of Patricia Taylor Couch. Click on the "link" to go to share a favorite memory or leave a condolence message for the family.